You can add additional sources, extensions and outputs by installing plugins from the Plugin Store. Sources are plugins that are placed on the stage such as chat viewers, streaming audio jukeboxes and more. 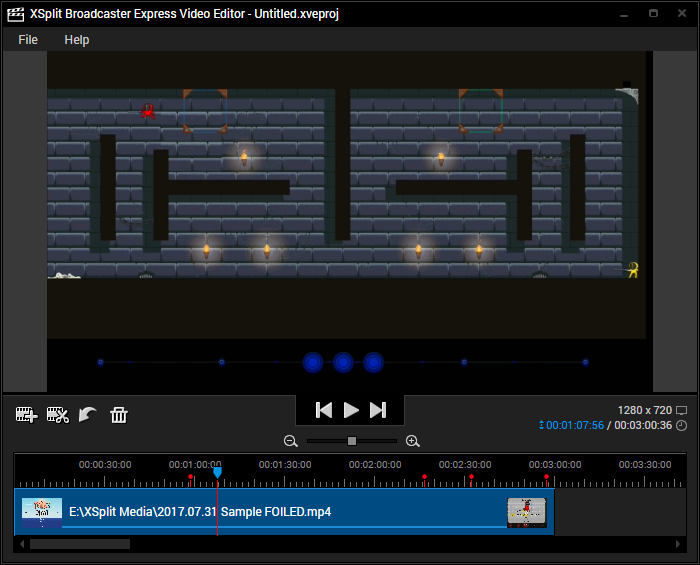 Extensions are small programs that add features and expands XSplit Broadcaster’s capabilities. Outputs support the most popular streaming platforms such as Twitch, Youtube Live, Facebook Live, etc. To install a plugin, just click on it and click the Install button found on the plugin page. You can also leave reviews and provide feedback on the plugins. In the Plugin Store, you can use the search bar and click the button to search for a particular plugin and use the button to show you installed plugins. 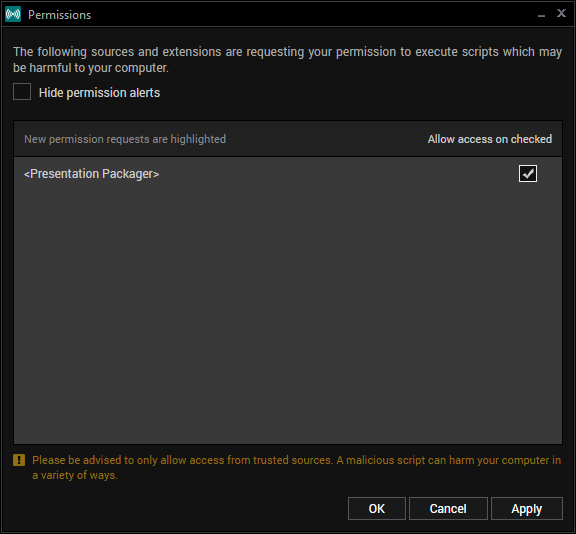 Some sources and extensions will require permissions to run scripts in order to work. These include extensions provided by XSplit as well. To allow it access, click Edit access now to open the Permissions window. In the Permissions window, check the box beside the source or extension you want to allow access to then click OK.
You can also access the Permissions window by going to Tools then clicking Permissions. 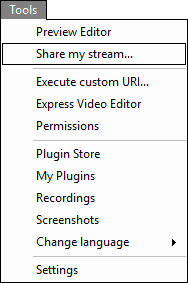 Click on any ‘Add stream link’ icon to add a link to any of your active broadcasts. Game Check In allows you to tag a game you are currently playing on a Player.me post. Facebook Privacy lets you choose if your post is visible to the public, your friends or only you. 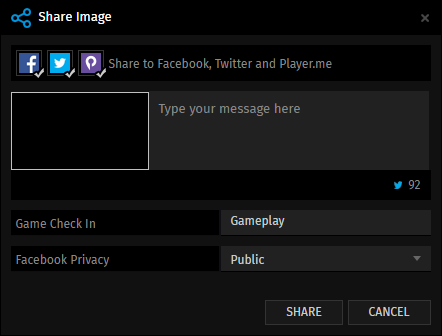 Game Check In is only available if you are sharing to Player.me. Facebook Privacy options will only be visible if sharing to Facebook. Tweet character count will only be visible if sharing to Twitter. You can use the Playhead to scrub through the video and select parts you want to split. You can click on a video to select it and drag it to move it. Assign a cue point hotkey to mark points of reference while recording a presentation. Back - Move one frame back on the timeline. Holding this moves the playhead faster. Forward - Move one frame forward on the timeline. Holding this moves the playhead faster. This area shows the video resolution, current elapsed time/position (blue) and total duration of the added videos. You can skip frames using the mousewheel by clicking the elapsed time. You can only add MP4 videos to a project with the same resolution and that are not more than 10gb. 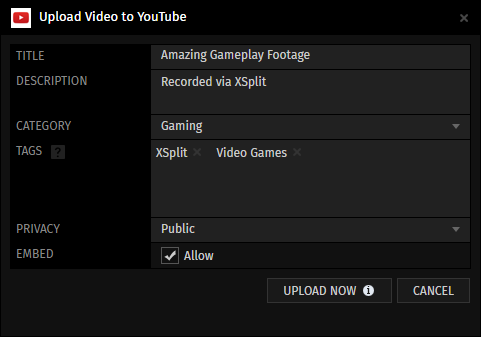 This is where you'll be able to view and manage your local recordings and automatically recorded livestream videos taken with XSplit Broadcaster. The Open Folder button opens your recordings folder in File Explorer while clicking … lets you change where your recordings will be stored. Clicking the Youtube icon lets you upload a recording to Youtube. 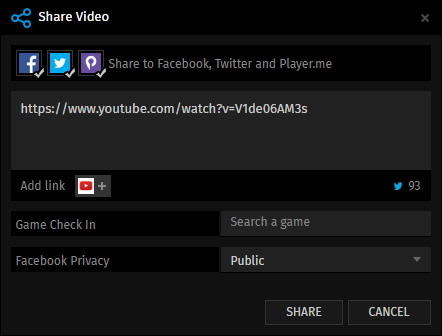 Clicking any of the social media icons lets you share a Youtube uploaded recording in their respective social media platforms. 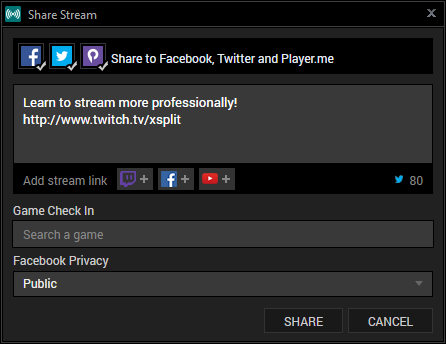 This is where you'll be able to view and manage your screenshots taken with XSplit Broadcaster. 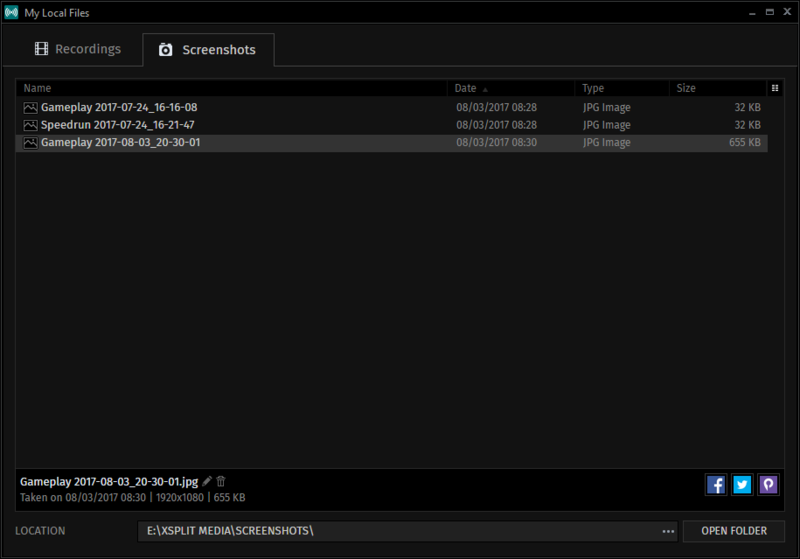 You can take screenshots of your active scene by assigning a screenshot hotkey. You can rename your selected screenshot by clicking the pencil icon and delete selected screenshots by clicking the trash icon. The Open Folder button opens your screenshots folder in File Explorer while clicking … lets you change where your screenshots will be stored. Clicking any of the social media icons lets you post the screenshot in their respective social media platforms. XSplit Broadcaster is available in English, Spanish, German, French, Korean, Russian, Simplified Chinese, Traditional Chinese Japanese and Portuguese-Brazil. You can change the display language by going to Tools > Language and clicking on your preferred language. You can also change your display language through the menu found on the login screen.